Dhar and Dewas were princely states in the present day Indian state of Madhya Pradesh. In the early eighteenth century Maratha Sardar Udaji Pawar and his brothers accompanied Peshwa Baji Rao I on his expeditions to subjugate the regions of Malwa. In recognition of his services, Udaji Pawar was rewarded with the jagir of Dhar in 1728. Udaji later fell out with Peshwa Baji Rao and his lands were transferred to his brother, Anandrao Pawar (the other brother was Jagdevrao Pawar of the Chitgaon line) and he was sent away to Multan. The states of Dhar and Dewas were ruled by different families belonging to the same clan, that of the Pawars, or Ponwars, Puars, etc. Dewas further divided into a senior and junior house with the Pawar brothers demarcating their individual regions of control. The Pawars today consider themselves to have descended from the Parmaras, an offshoot of the Rashtrakuta dynasty which ruled regions in central India. They were Gurjars who assumed the status of Chandravanshi Rajput Kshatriyas (they claim descent from Raja Vikramaditya of Malwa. His descendents found fluctuating fortunes and some settled as rajas of Bijolya, in Mewar, present day Rajasthan state). 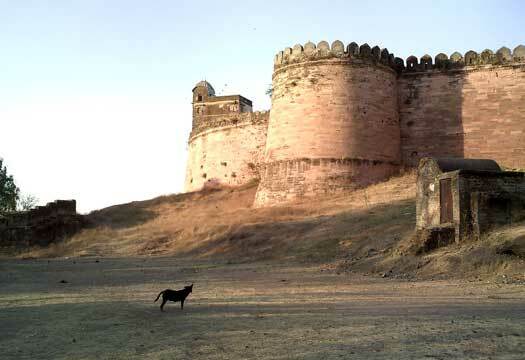 Some of their clan members (Puar Rajputs) also ruled in the central Indian regions of Rajgarh and Chatarpur. Ruler of the principality of Bijalya, Mewar, Rajasthan. Raja Kishen Singh's son, Shambhu Singh, incurs his father's displeasure and emigrates to the region of Maharashtra. Once there he serves under the Nizamshah of Ahmednagar, and comes to be known as Shivajirao Pawar. Shivajirao Pawar receives Sukhawadi (Supa) as his jagir. He later tries to extend his territory but is suppressed by the Marathas who are gaining a foothold in the Deccan. He marries twice, firstly to a Rajput named Phul Kunwarba, and secondly to a Maratha by the name of Mhalsabai Sahib who bears him a son named Krishnarao. Shivajirao is killed by the Dalvi of Hunga while returning to Supa. Krishnarao joins the army of the Maratha king, Shivaji, at the age of sixteen and builds a fortress at Supa. He has three sons, named Bubajirao, Kerojirao, and Ranojirao. Bubajirao is a founding figure of the senior house of Dewas while Kerojirao's great-grandson becomes the first ruler of Dhar. Son. Officer in Shivaji's Maratha army. Son. Commander in the Maratha army. Udajirao assists Maratha Peshwa Baji Rao I in his Malwa campaign. In reward for his services, Udaji Pwar is given Dhar as his jagir (estate). Udajirao falls out with the Peshwa and his jagir rights are transferred to his two brothers, Tukaji Pawar and Jivaji Pawar of Dewas, who establish themselves as rulers of the Senior and Junior branch respectively. Udajirao is sent off to Multan, where he dies. Of his two sons, Malharrao dies in 1787 at the Battle of Tunga, and Haibatrao succeeds as ruler in the Dewas junior branch after being adopted by his uncle. After assisting Udajirao in the Malwa campaign, Anandrao receives the sanad from the Peshwa following Udajirao's dismissal. He rules Dhar for four years and abdicates in favour of his eldest son, Yeshwantrao (his other son being Raijirao, the jagirdar (estate-holder) of Dag and Ganraur). Son. Died fighting with the Maratha army at Panipat. After being killed at the Third Battle of Panipat, Yeshwantrao is succeeded by his son, Khanderao. There are three other sons, by concubines, in the form of Mahipatrao, Haibatrao, and Murarirao. The first of those has a son called Mahipatrao Yeshwantrao Pawar, and it is this man's own son who seizes the throne in 1810. Mother and regent until Khanderao came of age. Mother and regent until Anandrao came of age. Posthumously-born son of Anandrao. Died aged 3. Son of Mahipatrao Yeshwantrao Pawar. Died in 1816. Shrimant takes his opportunity to seize the throne for a short period but is defeated and flees to Jhabua where he dies in 1816. Adopted son of Sardar Mahipatrao Shinde of Karadia. Ramchandrarao II signs a treaty of friendship with the British East India Company. Shrimant Achyutrao Murarirao Pawar, the son of Murarirao Yeshwantrao Pawar, who had seized the throne in 1810, now rebels again. He subsequently withdraws his renewed claim and is pensioned off. Adopted son of Rani Sakhiraje Bai Saheb. Died at Dhar fort. The adopted son of Rani Sakhiraje Bai Saheb and the natural son of Sardar Yeshwantrao Dakurjirao Pawar of Multan (who himself is the great-grandson of Raje Udajirao Pawar I), Yeshwantrao Narendra Singh supports the British during the Indian Mutiny (or Great Sepoy Mutiny). Younger (half) brother adopted by Yeshwantrao on his deathbed. 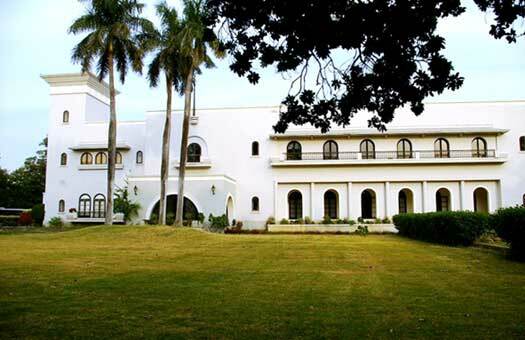 The Dhar estate is confiscated by the British East India Company in 1857 but is restored in 1860, following the Company's dissolution by the British Government. Anandrao himself reigns under a imperial regency council until he comes of age. Bhagurjirao (his original name) is the natural son of Sambhajirao Yeshwantrao Pawar (great-great grandson of Udajirao I). he reigns under a regency council until he comes of age and assumes power in 1907. He serves with the Poona Horse, reaching the rank of colonel. Col Udajirao Pawar dies at Salon, in Bhagyat state. He has no male heir and is succeeded by his nephew. Nephew. Last king of Dhar. Anandrao IV is the natural son of Seturamrao Sambhajirao Pawar of the Multan line and is adopted by his aunt, Rani Devibaisaheb, the widow of Udajirao II, who rules as regent until Anandrao comes of age and is invested with his ruling powers in 1940. The dominion of India is formed on 15 August 1947 following the official handover of power by the British. Anandrao has to relinquish his state to India in 1948. He subsequently serves as Junior Rajpramukh of Madhya Bharat state until 1956. He is married to Mrinalini Bai Sahib (from the Baroda royal family).